Fuegos, a new restaurant opening soon on Willy Street, is owned and managed by a family working through the immense pain of loss. Executive chef Oscar Villarreal’s sons, Emilio and Pablo, died unexpectedly in 2013 and 2014, respectively. Fuegos is an homage to them both. Between them, Emilio and Pablo had five children, whom Oscar feels the need to provide for as their fathers would have, according to Jordan Wegner, Oscar’s partner and co-owner of the restaurant. Fuegos is a way of supporting the children and bringing the family together while working through the loss. Oscar’s daughter, Cassandra Villarreal, is the general manager of the restaurant and co-owner with Jordan. Jordan’s mother, Sandy Wegner, is a certified natural health professional and the driving force behind the vegan menu. It’s that difficulty finding a compromise that brought about the menu concept. 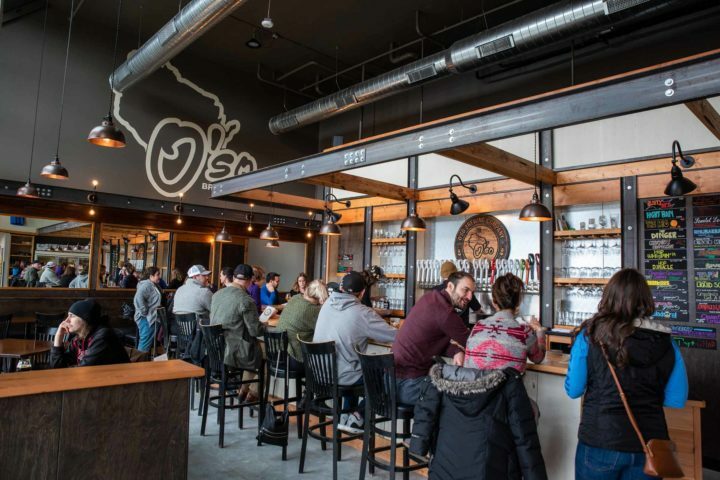 Vegan and meat-friendly sections are on separate menus, but diners are encouraged to order from any menu — or multiple menus — they wish. All menus include tapas, salads and soup, large plates and sides. 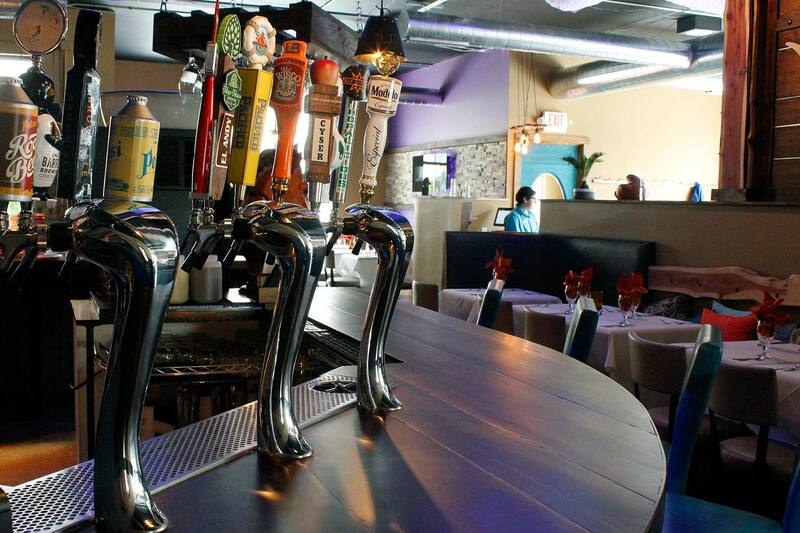 The food is heavily influenced by Spanish and Latin American flavors as well as Oscar’s cooking background. Oscar’s mother was born in Mexico, so you’ll see a lot of Mexican flavors as well as tacos at lunch. He worked at Walt Disney World as a special event chef and catered for celebrities, so he works to make his plates look as good as they taste. 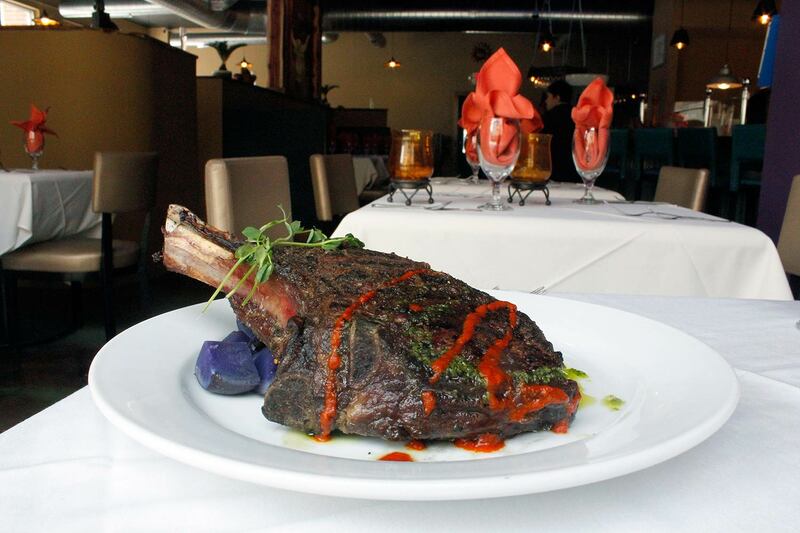 All meats on the menu are sourced from local Wisconsin farms and are cage-free and grass-fed, with no antibiotics. Produce, too, will be sourced locally and organic as much as possible, with Sandy heading up the search for fresh ingredients by contacting local farms directly. “We’re trying to increase the consciousness of healthy eating and allow that type of lifestyle,” says Jordan. On the carnivorous menu, the tapas section is seafood heavy. Coctel de camaron with avocado and pico de gallo shows the Mexican influence. 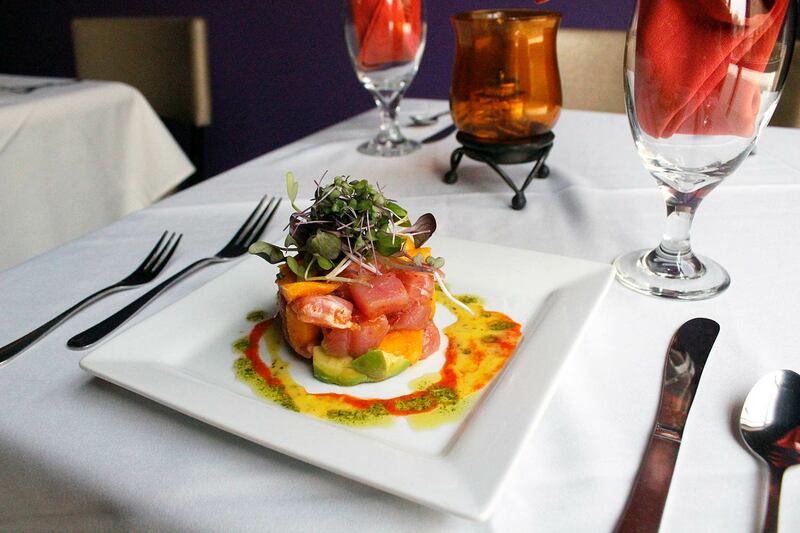 Torre de atun ceviche, composed of raw tuna, mango, avocado, cilantro, red chile sauce and lime makes for a colorful, Mexican-inspired plate. Grilled steaks and chops are the centerpiece of the meat menu. 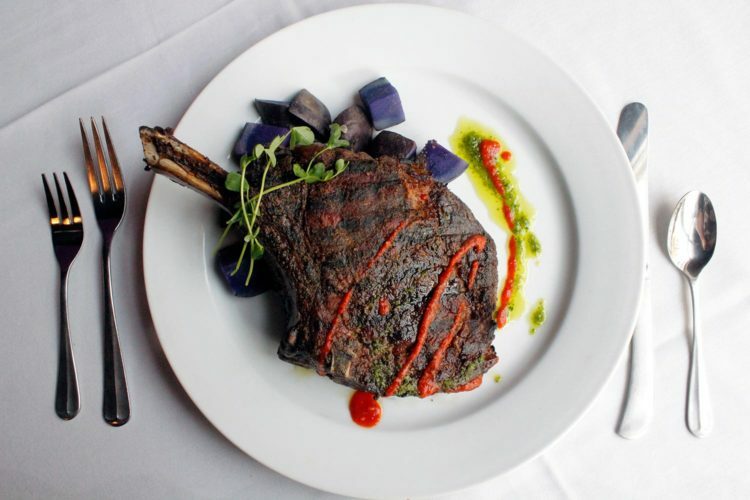 Chicken breast, lamb chops, pork chops and various cuts of beef including a monster 28-ounce bone-in ribeye are all served with purple Peruvian potatoes. Paella, a Spanish dish of rice, meat, seafood, vegetables and saffron, is often served in portions that feed multiple people in restaurants. But that doesn’t jive with Fuegos’ philosophy to cater to everyone’s tastes, so it’s offered “deconstructed” and serving one. The vegan menu is large and clearly not just the afterthought it is at many restaurants. Tapas include albondigas de verduras, vegan meatballs (“garden globes” on the menu) served with pumpkin seed mole and whipped almond nut cream that are one of Jordan’s favorites. 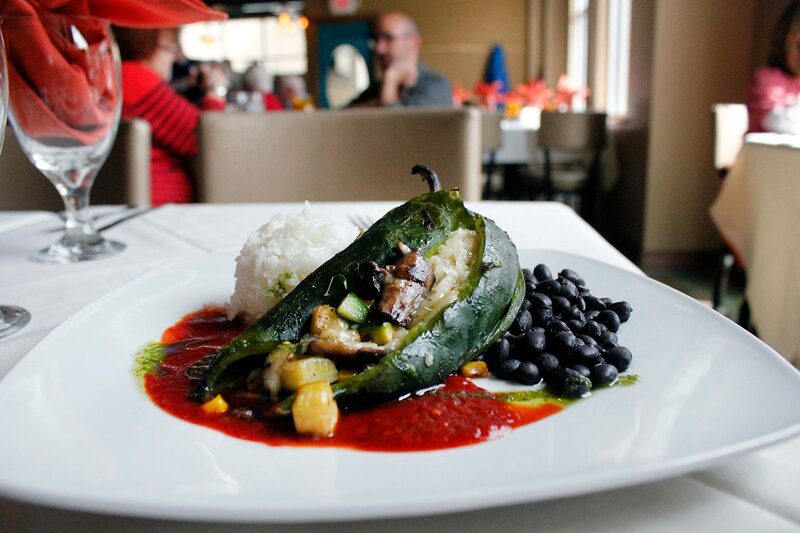 A substantial chile relleno in the grilled section of the vegan menu is stuffed with nut cheese, quinoa and vegetables, and served with black beans, coconut rice and a vibrant orange ancho chile sauce. Paella makes an appearance on the vegan menu, too, with a combination of squash, portabella mushrooms, broccoli, cauliflower, eggplant, peppers and saffron rice. Raw food fans will appreciate the fidello crudo, where raw julienned zucchini and other veggies take the place of pasta in a fresh tomato sauce with cilantro oil. Prices on the menu range from $8 for some vegan tapas to $49 for a large steak. Most entree prices fall around $20. Lunch, brunch on Saturday and Sunday, and dinner will be available. A chef’s table, located opposite the cold prep area and in view of the main kitchen, will be available for booking. The space is upscale without being fussy. White tablecloths, napkins in water goblets and leather upholstered chairs give you the sense that yes, dinner here would be special, but colorful throw pillows and rustic wood benches make it homey. Two areas of the restaurant are dedicated to Oscar’s sons. Pablo loved tequila, so the blue-lit bar has been dubbed Pablo’s Cantina. “Emilio was more of a lover,” says Jordan, and his favorite color was purple. So they dedicated a cozy side dining room to him, calling it Emilio’s Lounge, where they imagine intimate dinner celebrations like anniversaries will occur under the wall-mounted fireplace. 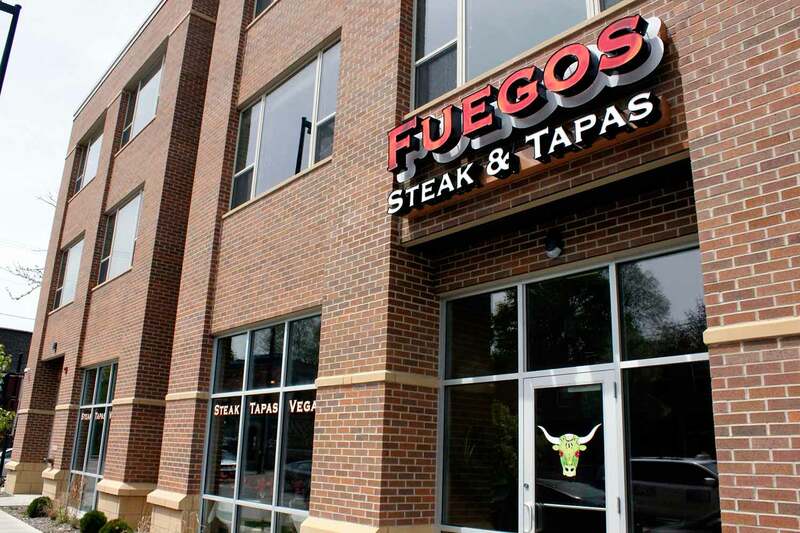 Fuegos’ grand opening will be Wednesday, May 17 at 11 a.m. Currently, they are soft opened for reservations only. 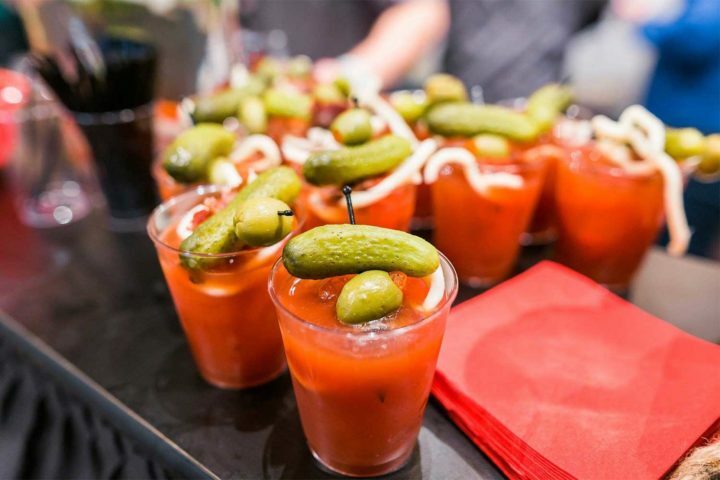 They will be offering Mother’s Day brunch this Sunday, with a $20 three-course prix fixe meal.